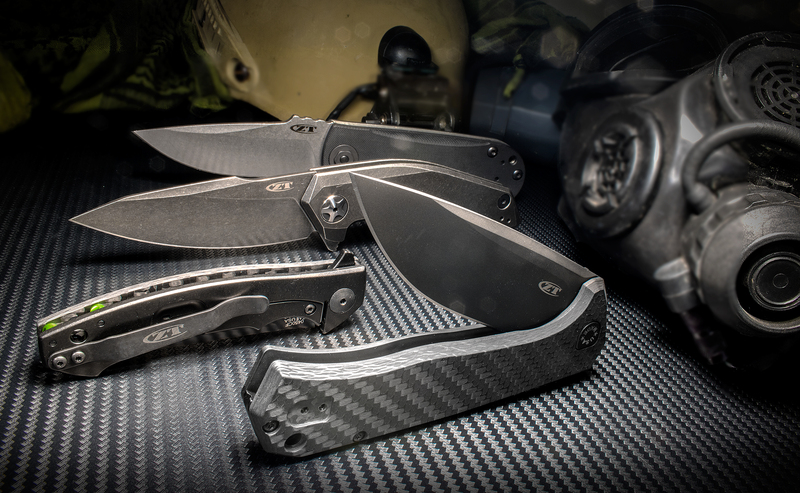 Zero Tolerance provides a dark, refined alternative to the original 0450 with some extra flair. This sophisticated ZT is a smaller option in the ZT family, yet offers a robust combination of durable, premium-quality materials. 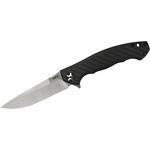 The blade steel is CPM-S35VN for exceptional toughness, wear resistance, and edge retention. 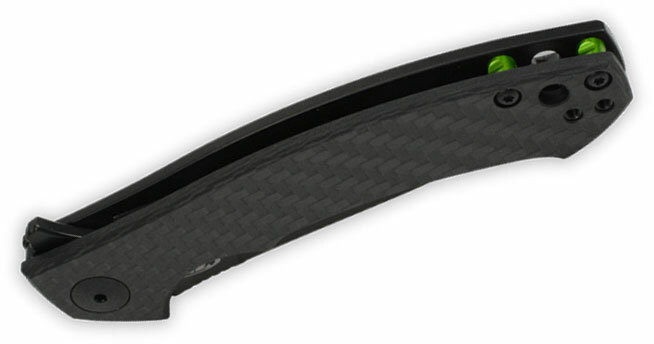 The S35VN blade is DLC coated for matte-black good looks and enhanced performance. 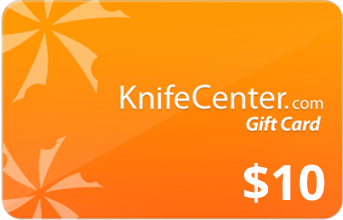 The front handle scale is carbon fiber, balancing the knife's solid construction with lightweight convenience. 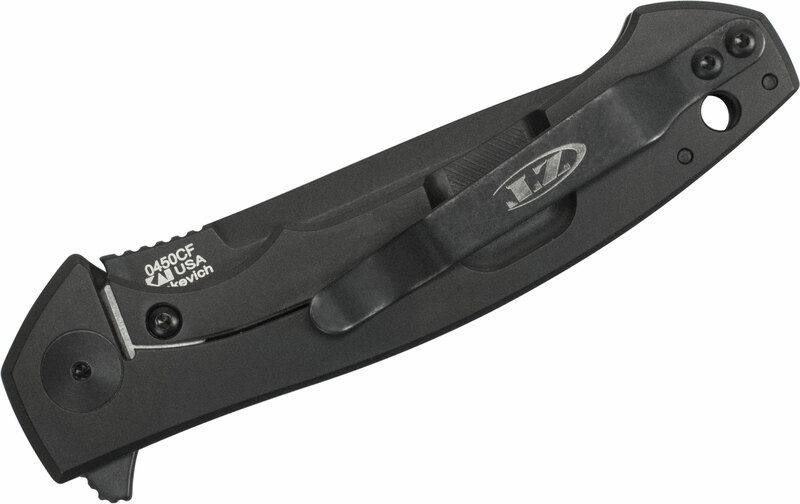 The DLC-coated titanium back handle offers a secure frame lock—so you can always cut with confidence. 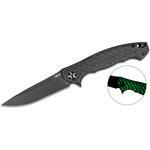 As an extra visual touch, ZT has added two emerald-green anodized-aluminum tube spacers that are especially eye-catching, standing out against the black handle. The 0450CF takes advantage of ZT's KVT ball-bearing system to enable smooth, easy opening for either left or right-handed users. 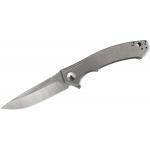 A left/right reversible, deep-carry pocket clip rounds out the 0450CF's basic feature set. pros: - weight- style- blade and handle materials- fit and finish- action!cons: - does not come with deep carry clip from the factoryPicked up this knife 8/30/17 and the detent will not prevent me from opening the knife with a finger on the lock bar unless there is substantial pressure. Looks like they've somewhat fixed the detent issue. This knife is a near perfect EDC. I had bees looking at the ZT 0450cf for quite a while before I bought it, so when it came I was very excited. The blade did not disappoint. It the S35VN holds its edge very well. I use it as my EDC and have cut quite a bit of cardboard, as well as opened many packages with it. It definitely holds up! It took about a day of flipping to get the mechanism broken in, but once I did it flips open will a simple press. It does have a pretty strong detent, but I actually prefer that. The only reason that I gave it four stars instead of 5 is because the handle is quite small and I have Large hands. The bottom of the handle comes to a dramatic point that create a hotspot in hand after a bit of use. Overall it is a fantastic knife. I would expect no less from ZT. 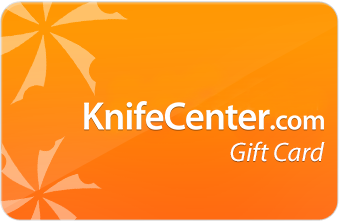 Hey, I wanted to share "Zero Tolerance 0450CF Dmitry Sinkevich Flipper 3.25 inch S35VN Black Blade, Carbon Fiber and Titanium Handles" with you from KnifeCenter.